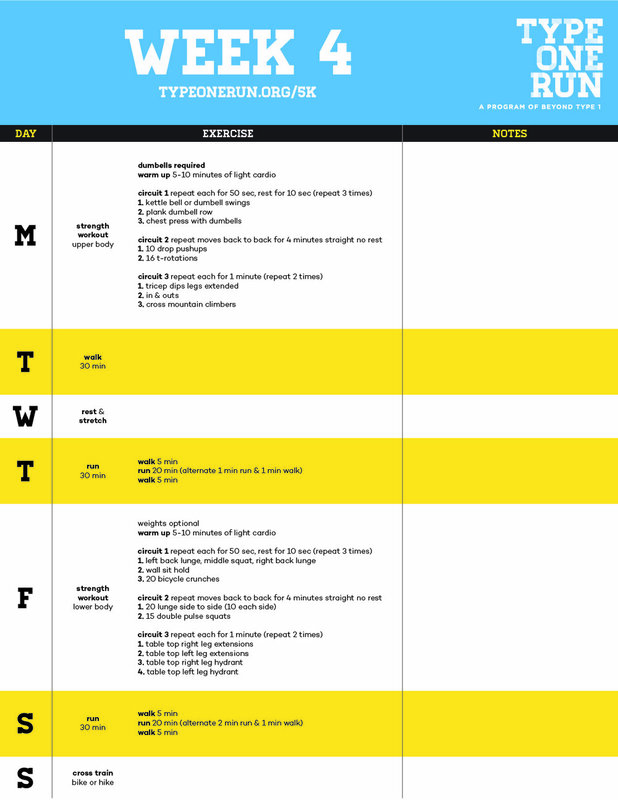 Complete your first 5K with our group and free training plan! A collaboration between Type One Run, the legendary Cliff Scherb from TriStar Athletes, and T1D health coach Lauren Bongiorno. Cliff is a thought leader in the area of type 1 diabetes, exercise insulin management, training performance, and weight loss. Cliff is the founder and principal coach of TristarAthletes.com and GlucoseAdvisors.com. Cliff consults via the web, balancing busy athletes blood sugars with his decision support system and creating training plans towards greater fitness and control. We recommend that you consult with your physician or other healthcare provider before beginning any exercise program, including the Type One Run program. If you have any healthcare related questions, promptly call or consult your physician or healthcare provider. No information contained in this website should be used by any reader to disregard medical and/or health related advice or provide a basis to delay consultation with a physician or a professional healthcare provider. Beyond Type 1 and the Type One Program are not responsible for the advice or recommendations of any other person, including but not limited to TriStar Athletes, Cliff Scherb or Laren Bongiorno or any member of any chapter of Type One Run.